I am going to an auction this weekend that has a Colt 1860 Army revolver with mathcing serial numbers. The numbers show that it was made in 1863. My grandad owned one of these and passed it on to my brother since he was the oldest, now I want one. The condition looks fair, although I am not really sure what I need to look at. I dont know what my max for the gun is, but I want it, or one like it. Just thought I would share. Any ideas what your max bid would be? No clue on the value of an actual COLT, but my Cabela's $200 uberti sure is fun to shoot. 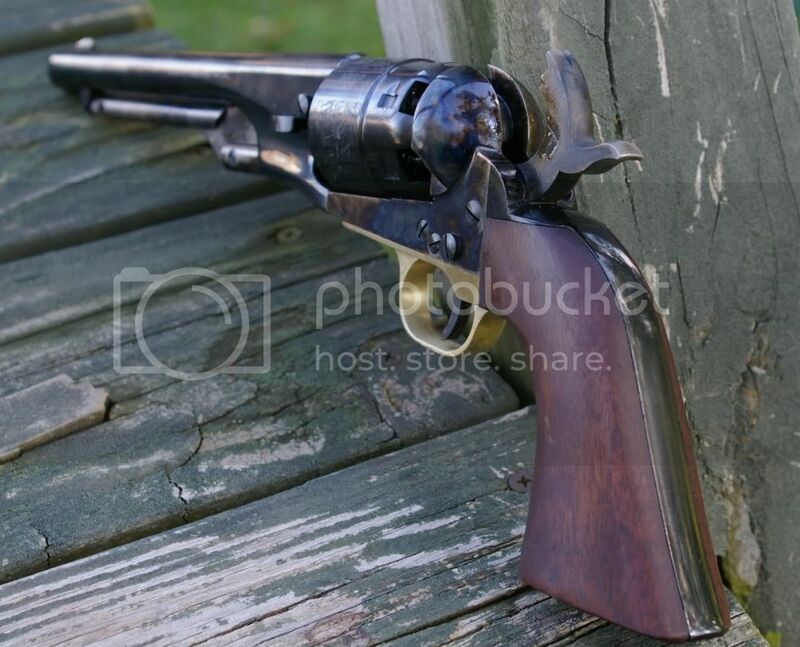 Colt percussions are possibly the most attractive revolvers made. A 1860 Army in 'fair' condition can sometimes be acquired for under $1000. As condition goes up however, the sky is the limit on the price. A good place to look for pricing is http://www.armchairgunshow.com/otsAC_percussion_colts.htm . http://www.collectorsfirearms.com/ often have colt's in stock to get an idea on retail prices. Good luck in your search.